Scholarship is characterized by a commitment to learning. Scholarly students are willing to spend the necessary time to cultivate their minds in the quest for knowledge. This pillar can only be achieved through diligence and effort. Scholarship means always doing the best work possible, regardless of reward. Leadership represents a student’s willingness to aid others in a wholesome manner throughout their daily activities. Leaders sacrifice their personal interests in order to yield to the needs of others. They need wisdom and self-confidence to affect change in all aspects of their lives. Some examples of leadership can include, but are not limited to, leading group activities in the classroom and in the community, being an officer in a club, being a primary member of the band or choir, or being the captain of a sports team. Character is what distinguishes one individual from another. It is the product of a successful to make the right choices day after day. Students with good character demonstrate respect, responsibility, trustworthiness, fairness, caring, and citizenship in all of their actions. Service is characterized by a student’s willingness to work for the benefit of those in need without compensation or recognition. As a service club, the National Honor Society is highly concerned with giving its full effort to the school and community at large. 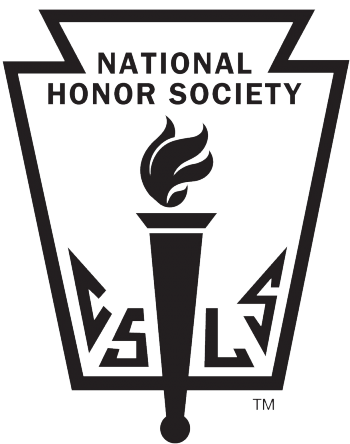 Students eligible to join the National Honor Society will be invited to the club either as sophomores with a GPA of 3.7 or above, or as juniors with a GPA of 3.5 or above. This takes place in February/March of each year.  After a student has submitted their application, it will be reviewed by a Faculty Council. Membership is decided based on whether or not the student in review clearly demonstrates mastery of the Four Pillars outlined above. 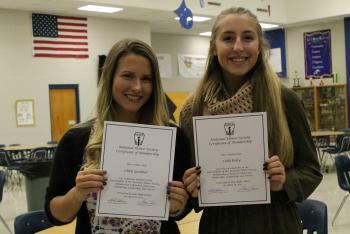 NASSP, the parent organization of the National Honor Society, has awarded NHS Scholarships since 1946, providing more than $10 million in scholarship funds to outstanding NHS members. The program will award $500,000 this school year. The scholarship application opens this year on October 1, 2018 and the due date is December 7, 2018. IHS Senior NHS members: Click HERE to apply! 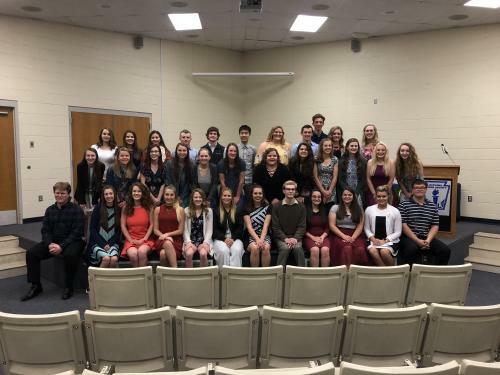 Click HERE to see a list of this year's NHS members. Stay updated with announcements, meetings, volunteer opportunities, and scholarship information by checking our Google Classroom often. For more information about the Iola High School NHS Program contact Mrs. Amanda Belknap.